This classic T20 shirt from Canterbury will hit ‘em for six, with its stylish silver grey design and comfortable, lightweight Polyester construction. On or off the field; you’ll star in this iconic kit from Canterbury’s 2019 collection. Love your T20 cricket? Whether you like hitting them out of the stadium, or prefer catching them from the grandstand, you’ll look the part in our classic T20 shirt from Canterbury. This stylish silver grey players shirt is made from 100% Polyester Jersey, so it’s built to take a few scratches and scars, but lightweight enough to maintain comfort all night. And with Canterbury’s VapoDri moisture wicking finish, it’ll keep you cool and dry no matter how intense it gets out there. 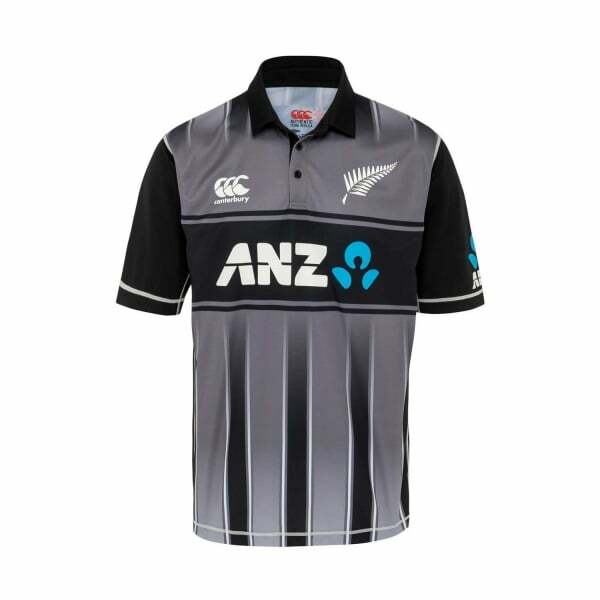 With a classic silver fern on the left chest and the iconic CCC logo on the right, everyone will know where your true allegiances lie in this classic T20 shirt from Canterbury’s 2019 collection.